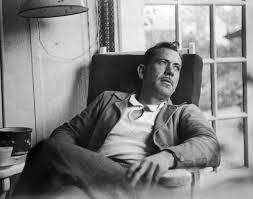 On December 20, 1968 John Steinbeck passed away from heart disease in his humble abode located in New York City. Steinbeck was best known for his literature on California, the working class and the land that ruled them. He was a Stanford student without ever completing his degree. He worked, wrote, and inspired American writers for ages to come. Steinbeck visited Vietnam in 1967 to report on the war where he spent a night on watch for his two sons and the platoon to sleep.